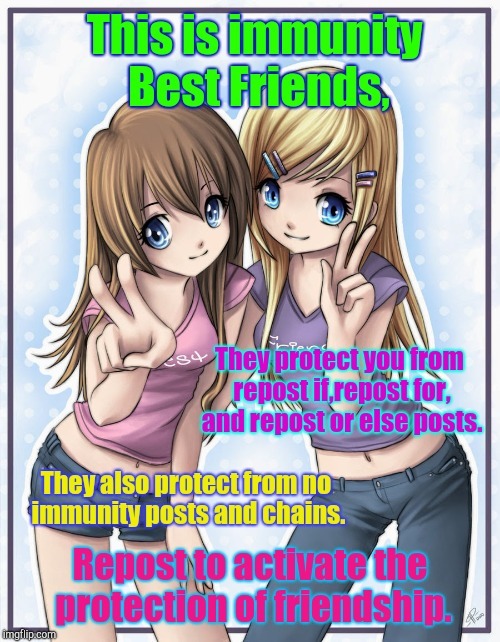 This is immunity Best Friends, They protect you from repost if,repost for, and repost or else posts. They also protect from no immunity posts and chains. Repost to activate the protection of friendship.